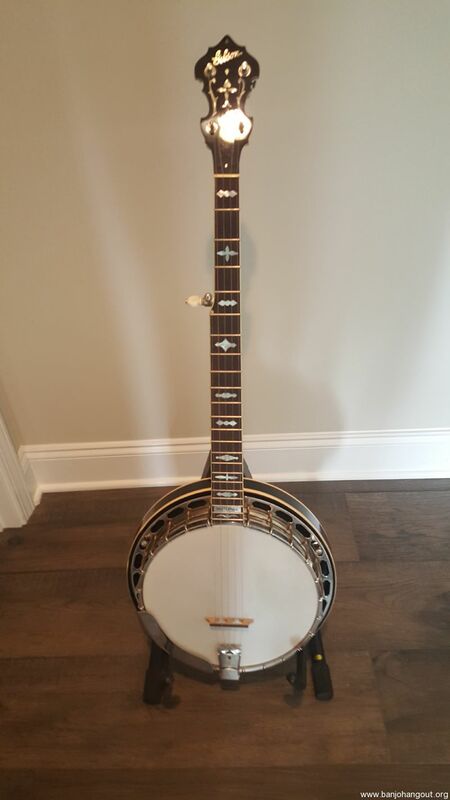 This great sounding and playing banjo has many interesting features. A pre-war rim #213-8 which dates to the 1930s. It is functional but ugly having considerable finish wear and holes for three resonator brackets, then four brackets, now back to three brackets. The story that I bought this banjo on said the tone ring was turned from a pre-war Gibson casting. 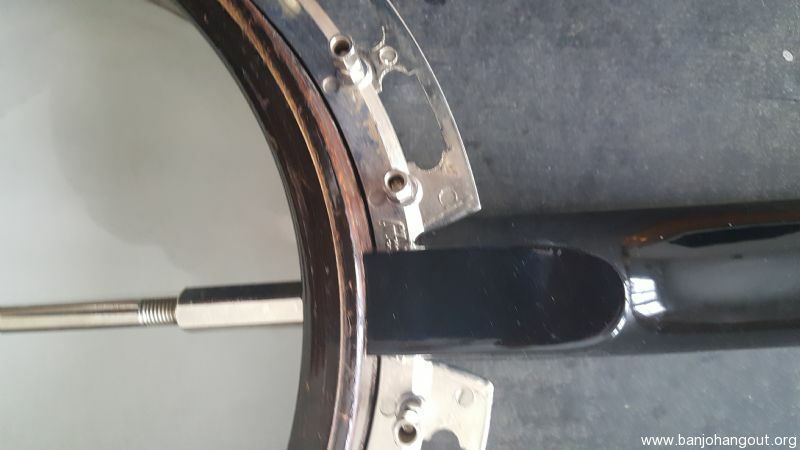 From the way the banjo sounds that could be true but the possibility of a pre-war casting ring is obviously not reflected in the price of this banjo. The reso is a KK-10 with appropriate signs of wear for an 80 plus year old banjo. 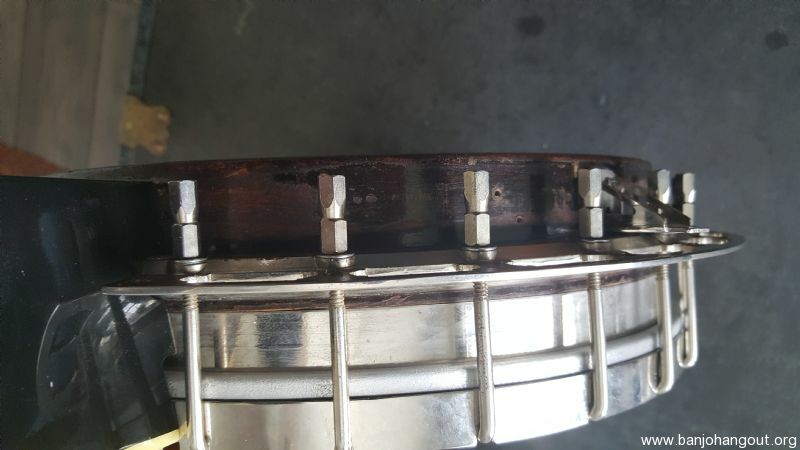 Gibson USA flange. 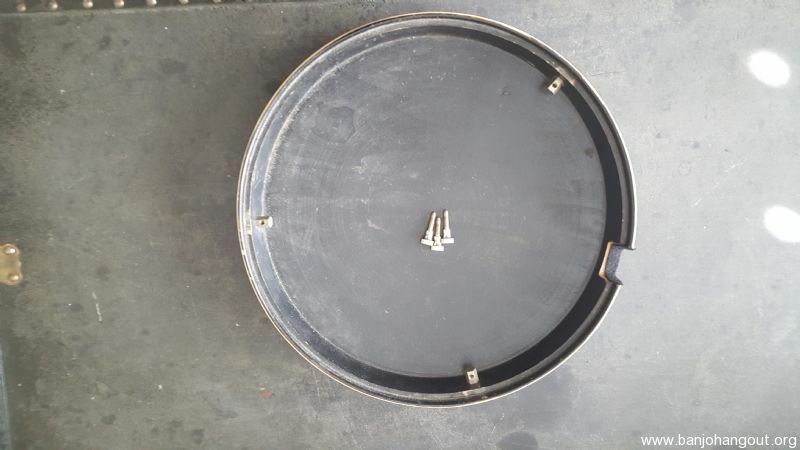 Prucha pot metal tension hoop. The professional conversion neck by master neck maker, Don Bryant is made from sinker mahogany that Martin is using for some of their high end guitars. 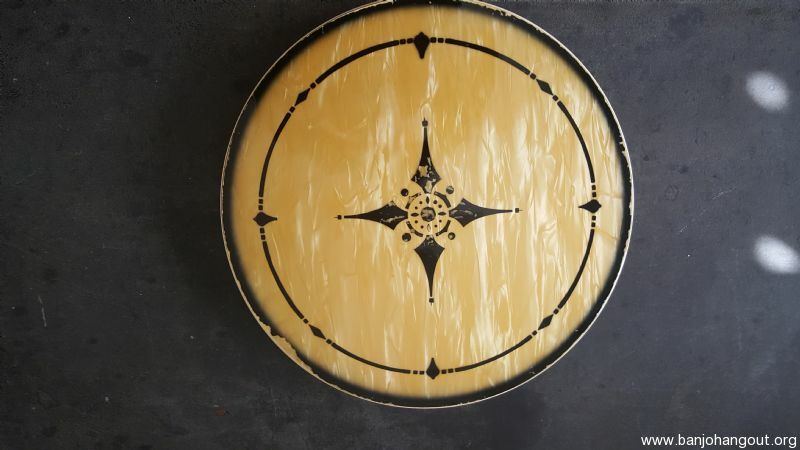 It features a Brazilian rosewood fingerboard inlaid in the leaves and bows pattern. Capo spikes at 7,8 &9. Older Gibson USA case included. No Trades. Glad to answer questions by BHO email. Prefer to sell this regionally so the buyer can see and play before purchase.